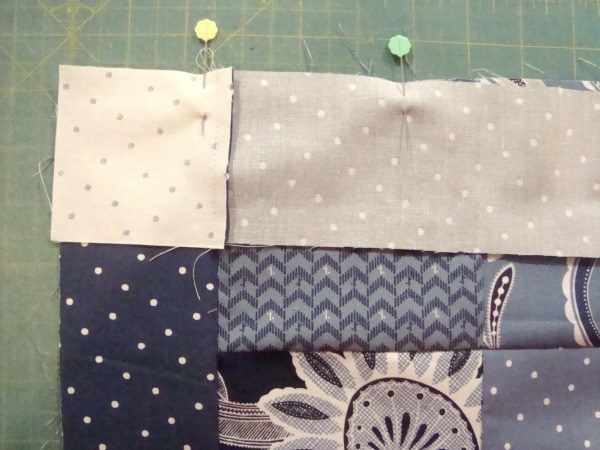 During the cold winter, nothing is better than hanging out with a snuggly quilt and some stitching on the lap. 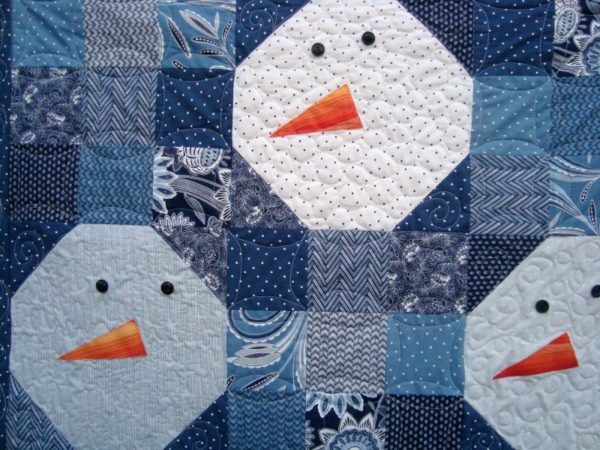 This snowman quilt reminds me of the fun that snow brings with it when it’s fresh and the kids are hopping about ready to head out and go play. 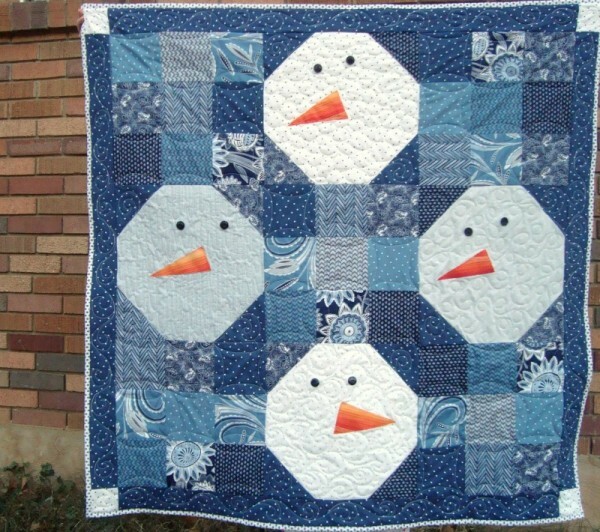 It’s a fun quilt- with a little bit of character with each snowman face. 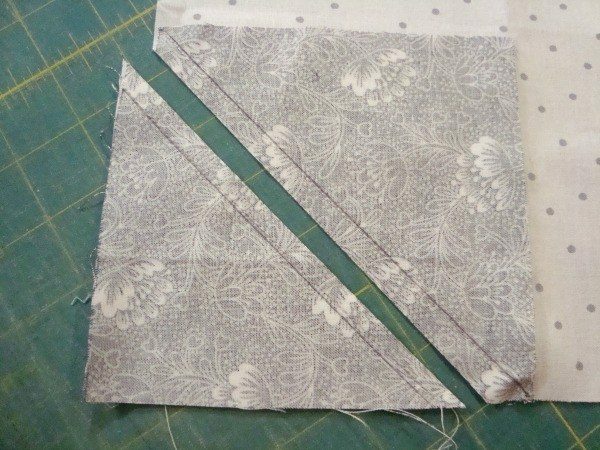 — it’s a super quick quilt to sew. 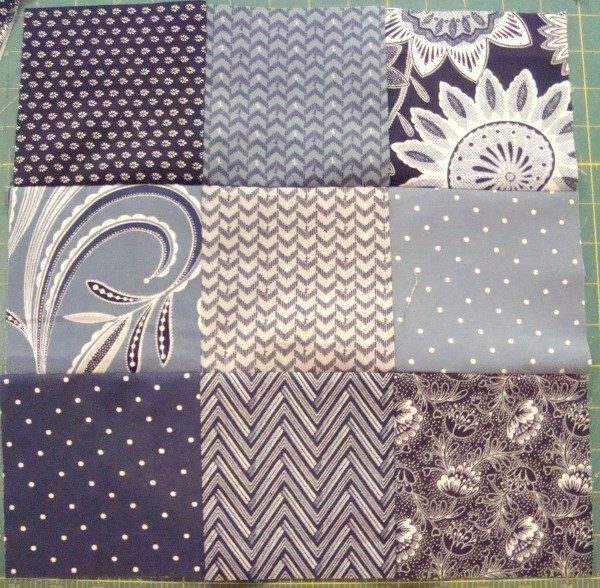 Plus, you can use up your scrap corners for a matching pillow. 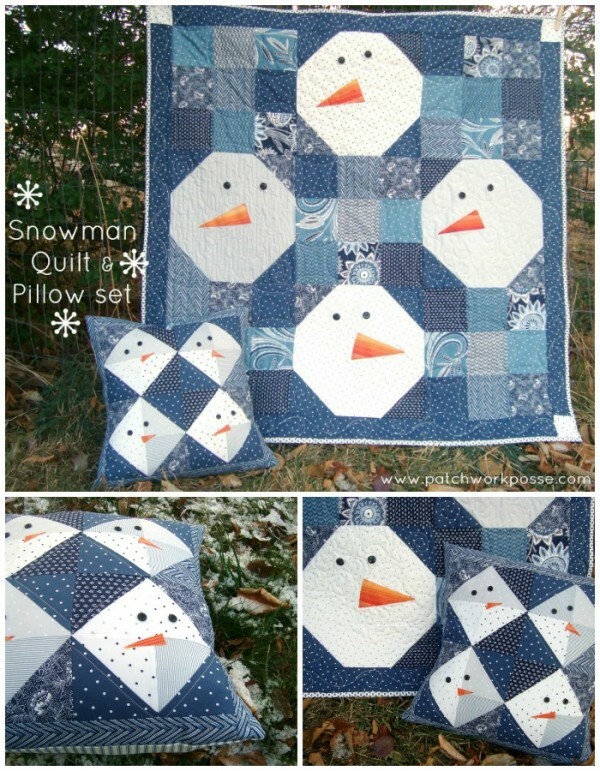 This makes a fun set for giving or tossing on the couch during those long winter months. 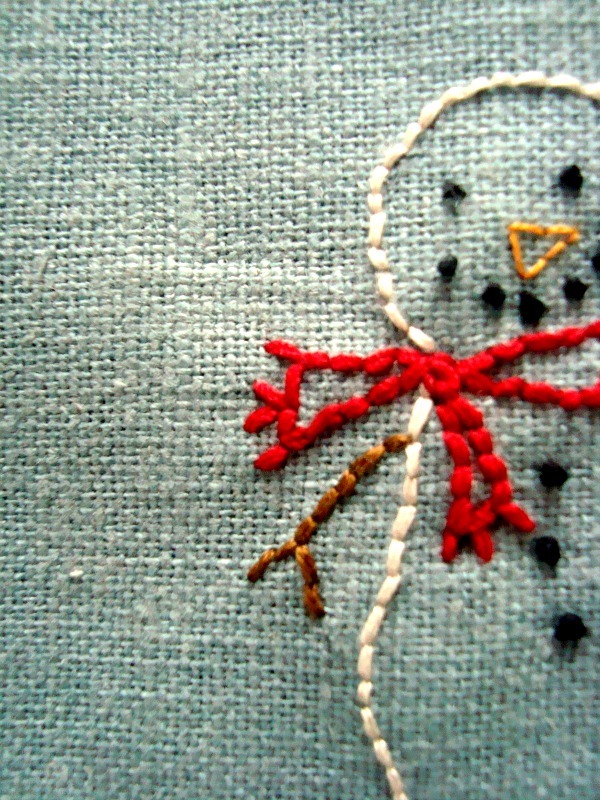 The nose on the snowman are applique. 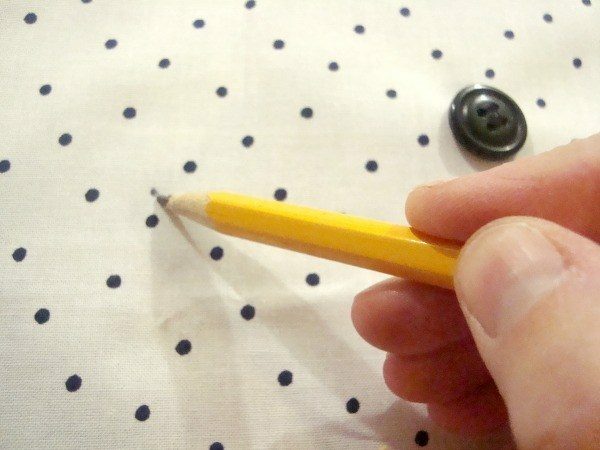 Nothing fancy– and you can play with the placement to give them some character. 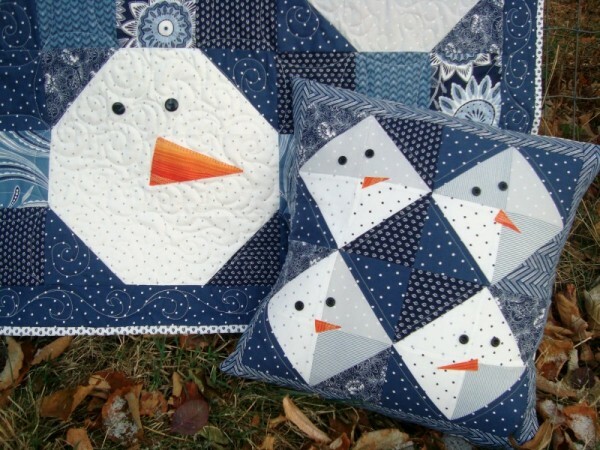 Snowman Quilt Pattern– Download Get the password for the library including this free pattern! 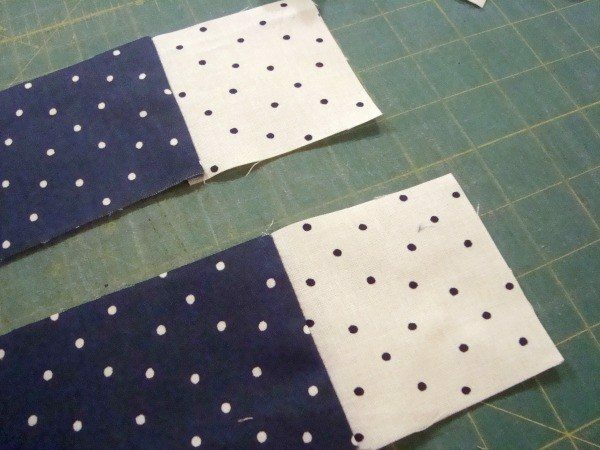 6) Cut in between the sewn lines and iron– set aside the half square triangle for a second project which is the snowman pillow! 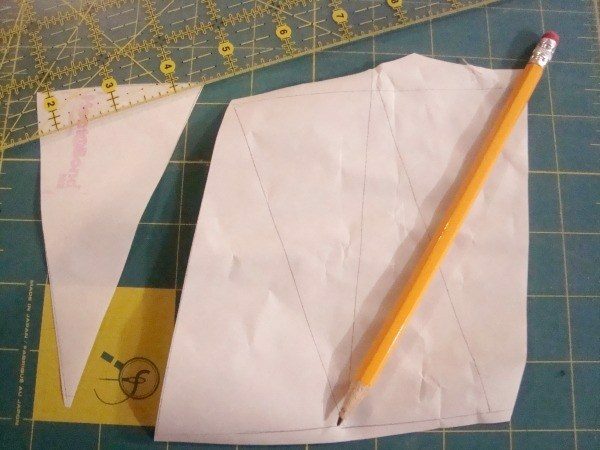 8) Draw 4 snowman noses approximately 5″ long and largest end is 2 1/2″-3′ wide. 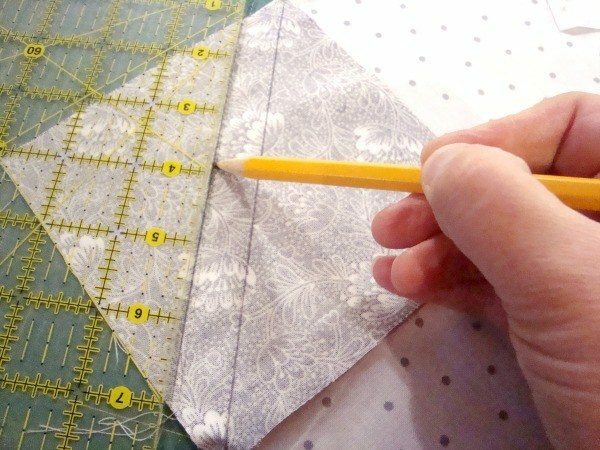 Remember that you can sew up a cute matching Pillow with those leftover corners! 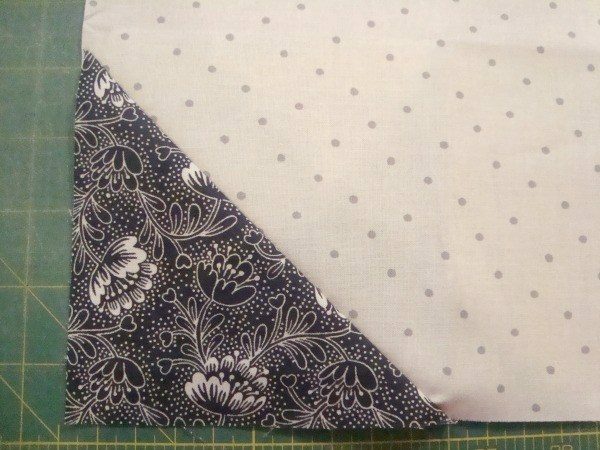 What’s your favorite Winter sewing project? Thanks for the snowman. I know someone who can really use a lift this week. 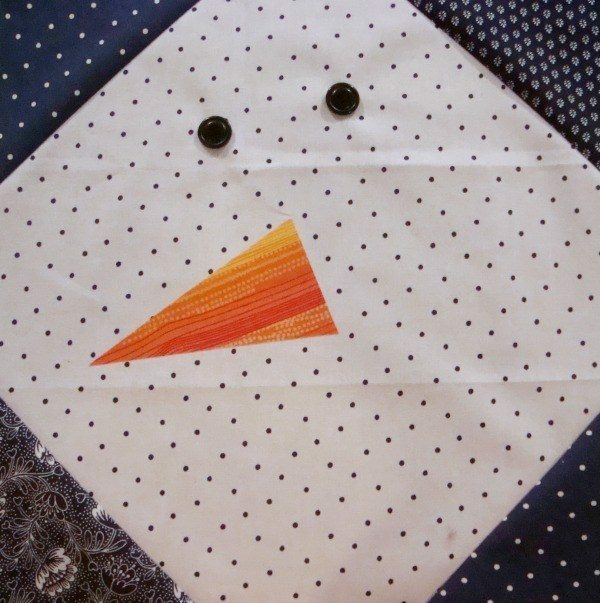 Thank you or your generosity!